In today’s security tip, we talk about including uppercase and lowercase characters in passwords. This is related to our previous video about using long passwords. Aside from using long passwords, you can further increase the number of possible password combinations by requiring your users to include uppercase AND lowercase characters. That seemingly minor addendum to your password policy already has a tremendous impact on the level of difficulty hackers have to deal with in attempting to crack your passwords. 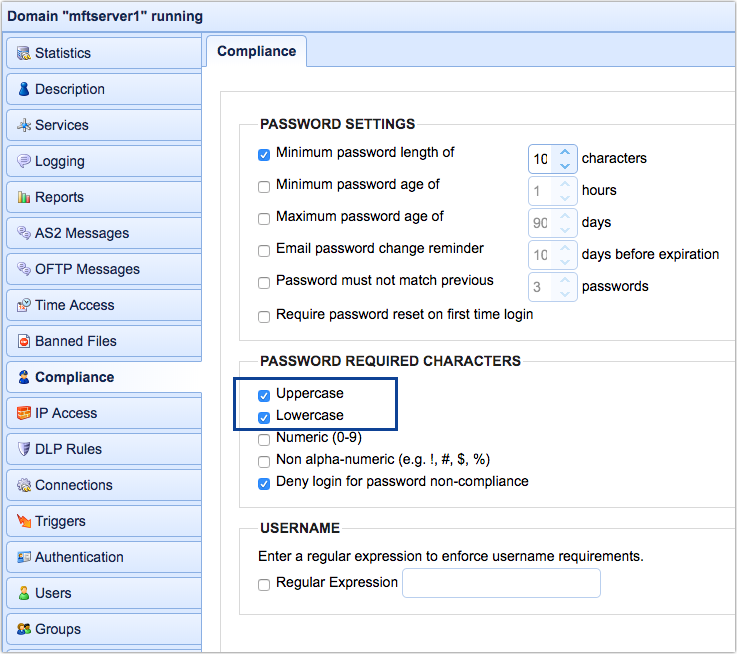 To make sure JSCAPE MFT Server users adhere to that password policy, navigate to a domain, go to compliance, and tick the Uppercase and Lowercase checkboxes. You can also check ‘Deny login for password non-compliance’ so that users who haven’t changed their passwords yet to adhere to your password policy (even if they enter the correct password) won’t be granted access.